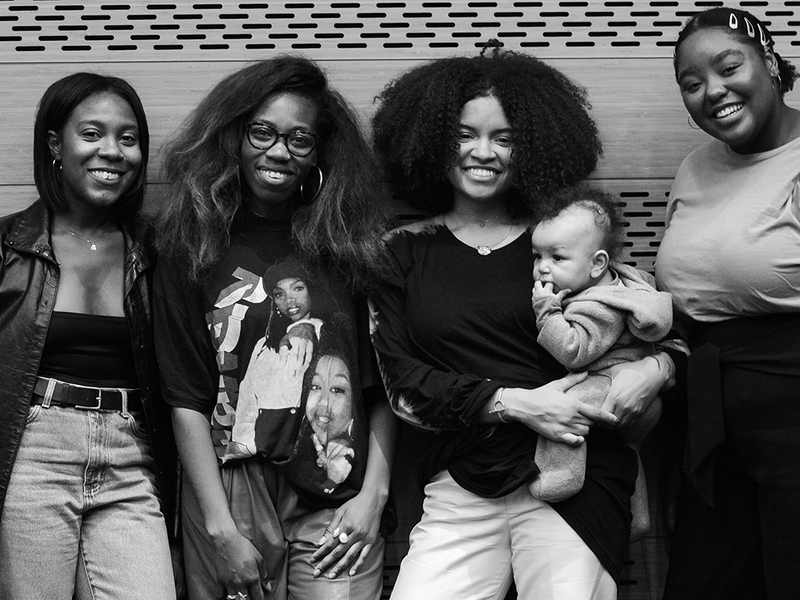 Jessica Willis, Stephanye R. Watts, Kai Avent-deLeon, with son, and Tatiana Glover at the Women of Color Redefining Culture, and Community panel. A panel celebrating Women’s History Month in March recently sought to highlight the contributions women of color have made across the spectrum in a variety of fields and professions. The March 15th panel called “Past, Present, and Future: Women of Color Redefining Culture and Community,” featured a conversation with Jessica Willis, Stephanye R. Watts, and Kai Avent-deLeon, about how women of color have historically shaped and continue to shape the meaning and importance of community. The event was organized and moderated by Tatiana Glover, a senior and Integrated Design Parsons BFA student. Panelist Jessica Willis is a freelance stylist and fashion editor with selected client work including Aritzia, Columbia Records, Forever 21, InStyle Magazine, Lexus, Refinery 29, Suited Magazine, and Urban Outfitters. Stephanye R. Watts is the assembly program coordinator at Recess Art Organization and the former community manager at Weeksville Heritage Center. Watts is also a creative director and freelance writer. Kai Avent-deLeon is the creative director and business owner of Sincerely Tommy and STCoffee, a leading concept store located in the Bedford Stuyvesant section of Brooklyn. With her senior thesis at Parsons, Glover is developing a business model for a consulting firm that targets women of color entrepreneurs seeking guidance. She says that Mahogany Studios is going to be a service based creative agency accommodating women of color who want to pursue creative careers in design, fashion, and tech. testimonies that can serve as advice to pursue their creative endeavors within their communities and work,” Glover says.